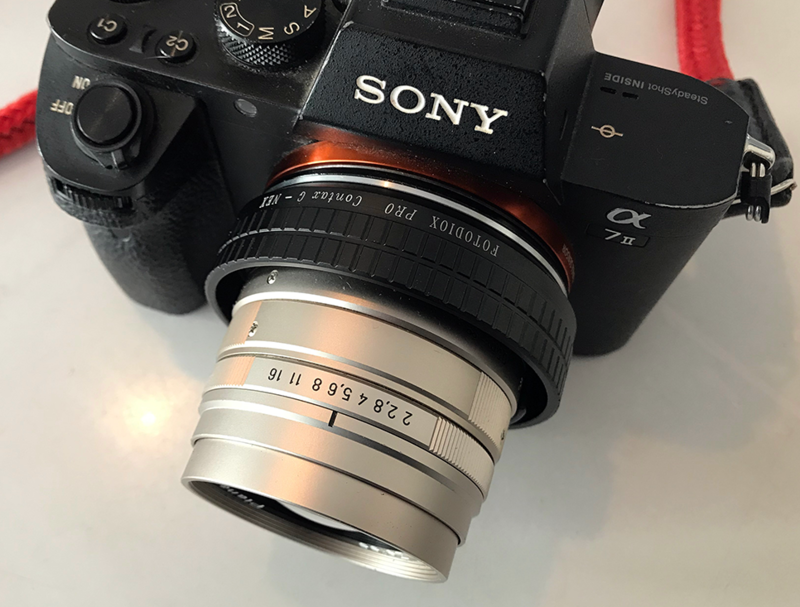 First the good news: it is possible to use Contax G mount lenses on modern digital cameras. 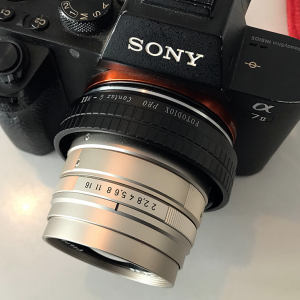 How to adapt a Contax G lens to a digital camera? Now you basically have two types of adapters which do differ substantially in terms of pricing. Why? Because there is no focusing ring on a Contax G lens (it’s an auto-focus rangefinder after all). So you end up with a bunch of cheaper adapters that will allow you to mount the lens to your digital camera body but you won’t be able to focus! In order to focus the lens you will either have to use your feet or an additional focusing helicoid, bellows or extension tubes. 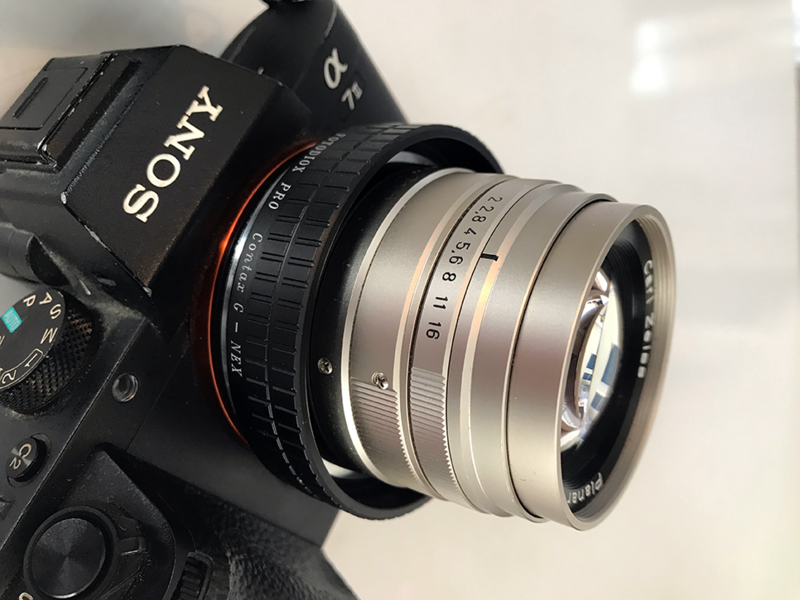 Unless you want to try your hands on macro photography (for which the Contax G lenses where not made in the first place), then this solution is not very practical. The alternative is slightly more expensive but much more convenient: an adapter with a built in focusing mechanism. I personally use and recommend the adapters from FOTODIOX PRO. Their adapters are beautifully crafted and are very reliable. Unlike cheap adapters that you might find on Ebay, the FOTODIOX adapters actually work perfectly. They allow to focus to infinity and most importantly: they have the necessary focusing ring. 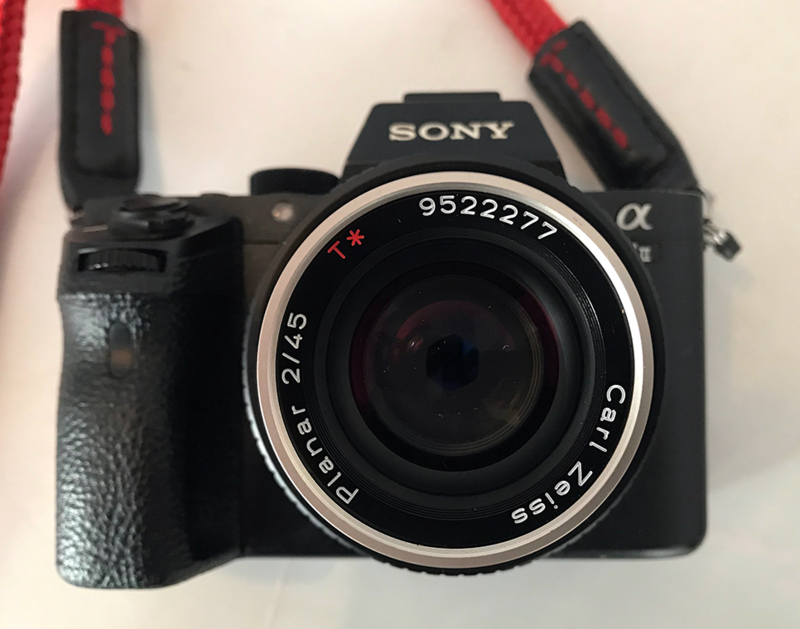 FOTODIOX actually offers two type of Contax G adapters with built in focusing dial: one with a slim focusing ring and one with a wider focusing ring: The focusing ring is placed at the end of the adapter along the camera body making it very easy and ergonomic to focus. With the adapter the lens feels just like a manual focusing lens. I was surprised how well the focusing ring on the FOTODIOX adapters actually works: focusing is super smooth and precise and feels totally native. This is a great solution to get into or revive your Contax G lenses. 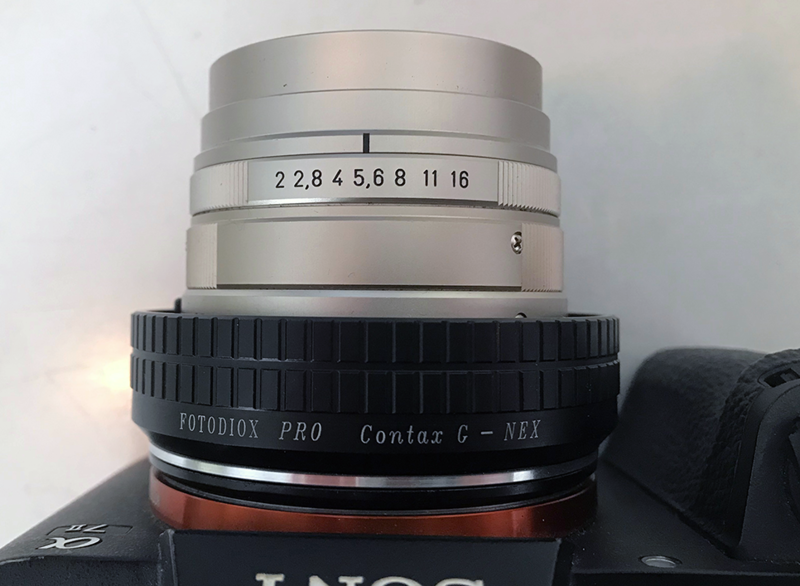 Which lenses exist with Contax G mount? Pretty rare and strange looking lens. 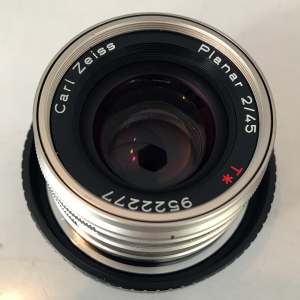 This is the only Carl Zeiss branded Contax G lens that was actually made in Germany (the rest is Made in Japan). It was introduced in 1994 and had a whooping price tag of US$3000. You guessed it: this lens is rare and not the cheapest piece of kit. I have not tested this lens and I am honestly not sure it would fit on every camera (the rear element is very protruding). This lens is apparently very respected among architectural photographers as it has extremely good corner-to-corner sharpness paired with almost no distortion. 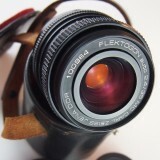 If you own this lens and want to share some pictures taken with/of it, feel free to get in touch! The 21mm Biogon was manufactured in Japan and introduced in 1996. It works on the Contax G2 only using an external viewfinder. This lens is super sharp and has almost no distortion. 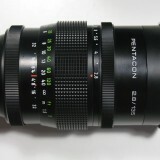 The 28mm Biogon was introduced in 1994 and cost US$660 back then. It works both on the Contax G1 and Contax G2. 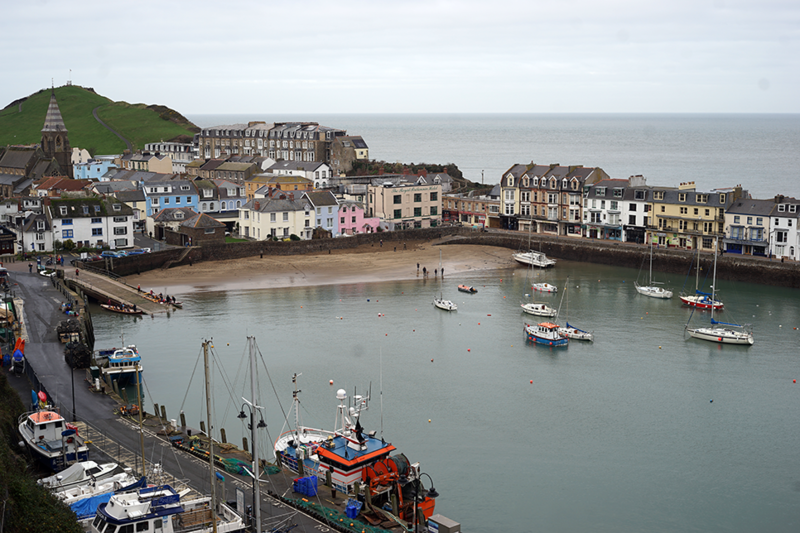 A very sharp lens indeed, it is highly appreciated for the clear corner-to-corner images it produces. 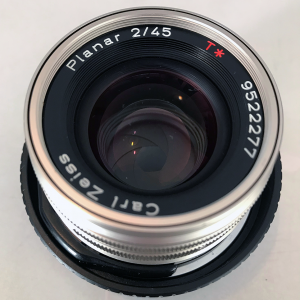 The Carl Zeiss Planar 35mm f2 was pretty much a direct attack on the iconic Leica Summicron 35mm f2. 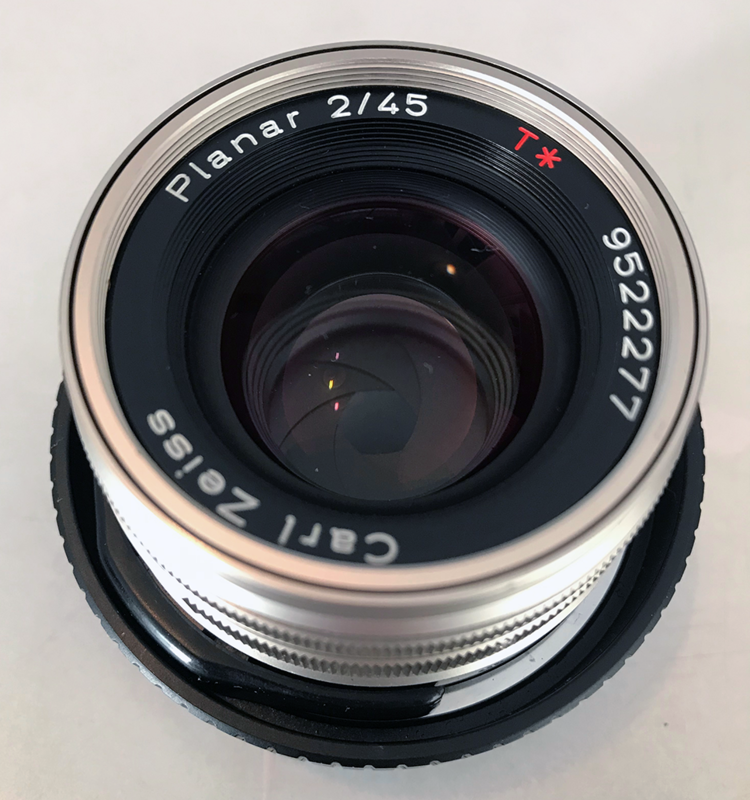 The 35mm Planar was introduced in 1996. As the other Contax G lenses it is renowned for corner-to-corner sharpness, even when shot wide open. The good news is that this was the standard lens sold with most Contax G bodies: so they are widely available. 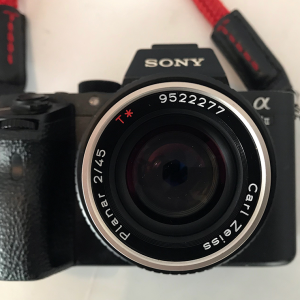 Great lens for street photography. I will have a full review of this lens up shortly! 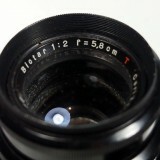 The 90mm Sonnar is the only long lens manufactured for the Contax G system. 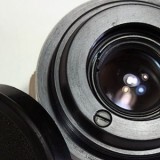 When it was launched in 1994, this lens cost US$660. At 90mm it is meant to be the portraiture lens in the Contax lineup. It might not be the fastest portraiture lens in the world but it is pretty sharp. 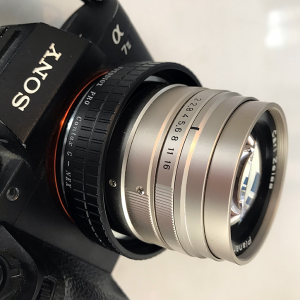 This lens was pretty popular back in the day and you can find quiet a few copys floating around on various online marketplaces. 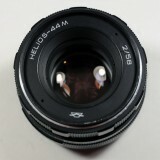 This is probably the cheapest Contax G lens you can find so keep your eyes open for bargains! The only tele-zoom lens in the lineup of the Contax G. The sales number of the Carl Zeiss Vario-Sonnar were not that high and nowadays it is rather difficult to find a copy. 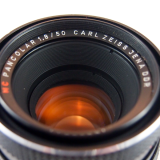 This lens was also not manufactured for a long time as it was only introduced in 2000. 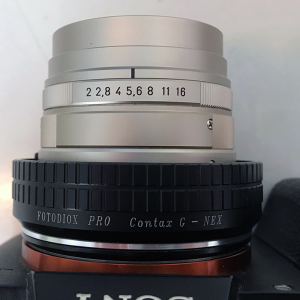 Why should I adapt Contax G mount lenses? The Contax G system is probably the most modern “vintage” camera you can get – it is from the 1990ies after all! You totally feel this in the lenses: they behave and render more like a modern lens rather than a 1940ies Zeiss lens. This won’t be interesting for the vintage purists but if you want corner to corner sharpness combined with superb craftsmanship and eveything in a small package: these lenses are perfect for you. 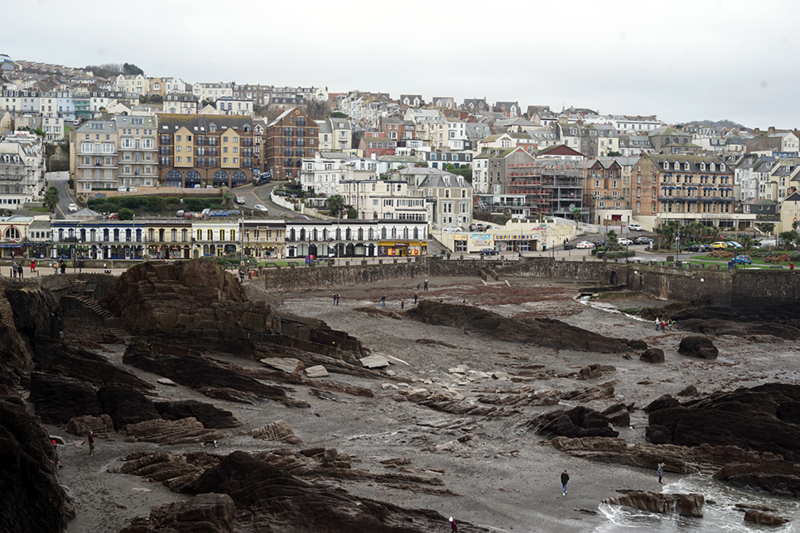 I also like the fact that there is a broad variety of wide-angle lenses to choose from (and superprisingly no 50mm lens). So if you like your angle of view wide, the contax G system might be an option.